Learn to knit from Heidi Gustad, a knitting & crochet designer with 20 years of experience. Join us in Studio Fleur Inc on Saturday, November 18 from 1-3 pm. Attendees will receive group and hands-on instruction designed for first-time (or first time knitting in a long time) knitters. 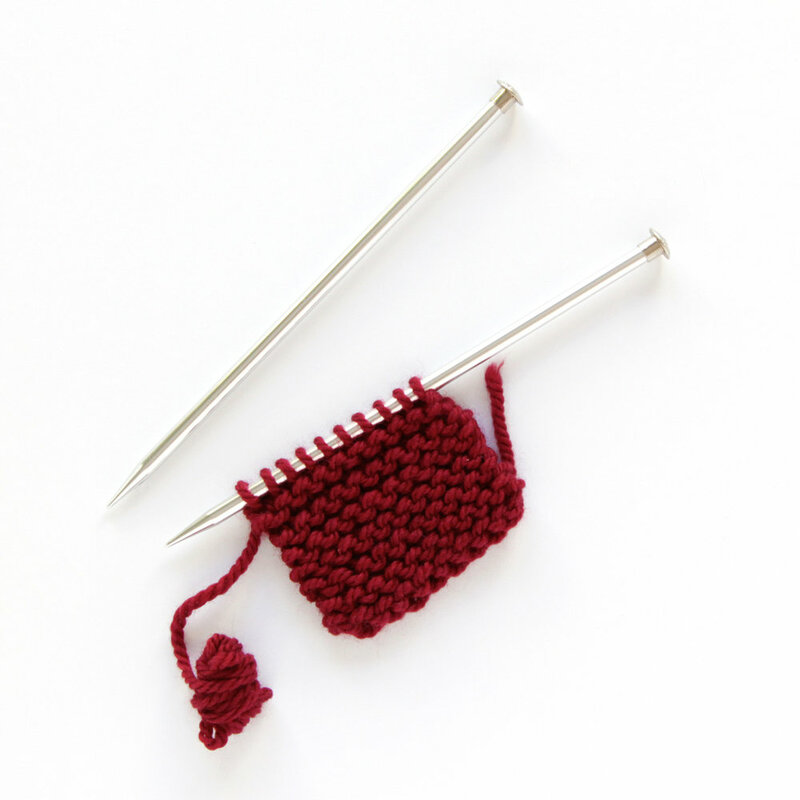 You’ll leave this beginner-level workshop knowing how to do a basic cast on, knit and purl stitches, plus you’ll have all of the supplies you need to make your first scarf or cowl, including needles, yarn, and a cute project bag. Space is limited, so don’t miss out! Click HERE to sign up! Get cozy with us this November! Cost is $75 per student. Please note that due to limited space, classes are non refundable. In the event you cannot make it, the class can be transferred to another person for the same day. We look so forward to creating with you! We are please to present our second collaboration with Miya from Layers of Loveliness! Sign up for a lovely Sunday morning in our studio, located at 2706 N Sawyer Avenue, beginning at 11am and learn the beginning steps of calligraphy. Miya will supply you with all the tools and notes to begin writing your own love notes in a romantic yet modern design. All the tools will be provided for you to practice your curls and swirls! Following calligraphy, students will receive a tutorial hosted by Kelly Marie Thompson on how to design a lush and beautiful centerpiece filled with seasonal foliages and plush focal blooms. Students will choose their own lovely blooms to create a custom centerpiece. Take home your tools and creations in a Fleur tote! Light refreshments will be served. The cost is $185.00 per student. To register, please call 773.395.2770. Please note that due to the limited space, classes are non refundable. If in the event you cannot make it, the class can be transferred to another person for the same day. We look so forward to creating with you! The class size limit is 12 and spots do fill up quickly, so act fast if you would like to sign up with a friend. For even more details and to sign up, click HERE! This spring & summer we have been working non stop to prepare our new studio space for classes and we're so excited to release our first floral design class in this location on September 17th - Floral Arranging & Watercolors! It's been well over a year since we offered this collaboration, so you can only image how thrilled we are to present it again! Arrive at 11am in our sunny, new studio location - 2706 N Sawyer - just around the corner from our retail boutique. Sip & snack on light refreshments while guests arrive & begin to choose your flowers. We will present a lovely collection of blooms for you to personally pick from, in a bright and seasonal color palette. The morning will begin with a floral demonstration of an organic and windblown arrangement with plush focal blooms by Kelly Marie Thompson. Guests then creating their own design with any questions or thoughts answered as they go. Once the floral creations are pruned, designed & complete, watercolor artist Cindy Phelan will demo some painting techniques & students will have the opportunity to recreate their floral piece on paper! Learn the starting tips of painting focal blooms and take home your painting, floral arrangement, vessel & a Fleur tote! This gathering is Sunday, September 17th from 11am - 1pm. Light refreshments will be served. The cost is $135.00 per student. To register, please call 773.395.2770. Please note that due to the limited space, classes are non refundable. If in the event you cannot make it, the class can be transferred to another person for the same day. We look so forward to creating with you! Terrarium 101 in Studio Fleur! Come get your hands dirty! Join us in our brand new studio around the corner from the boutique on June 4th, 2017 and learn how to create your own terrarium! Let us guide you through the design, construction, and care of your own mini landscape using easy-to-care for succulents and cacti. 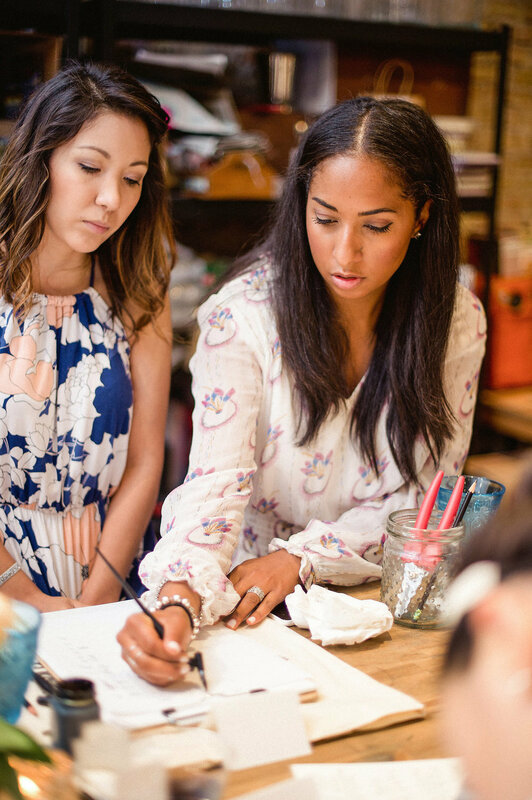 At the end of the class, walk away with your own handmade, custom terrarium. Perfect for gifts, centerpieces, or just adding a little green to your home, all skill levels are welcome! Supplies and snacks will be provided! Take home your tools and terrarium in a Fleur tote! You will take home a handmade wooden frame loom, a weaving sword, tapestry needle, scissors, rod for finishing, weaving booklet zine, and yarn in a curated palette; all in an exclusive Fleur Workshop tote bag! Sign up right HERE!